London-based DJ and broadcaster (and local resident!) Rita Maia presents ‘Sine Of The Times’, her personally-curated debut compilation, this evening at the Notting Hill Arts Club. The album features several exclusives from electronic and bass music talents from across the world, featuring Robin The Fog, Amenta/Lost Twin, Will Ward (Circle Traps), My Panda Shall Fly, Bongos Ikwue, Simbad, dFranklin (LV), VVV , Modo Fractal, BD1982, NKC and Visionist. It is also coming out on Lisbon based Badmood Recordings, label/collective she is also part of. 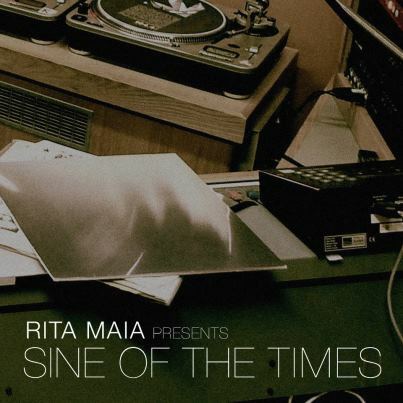 Sine Of The Times is Rita Maia's electronic music prime-time show on the award winning London Resonance FM. Counting with 2 million listeners on FM and online and winner of the Best London Radio Station for the third consecutive year by the Radio Academy Nations and Regions Award, Resonance FM is the home of the DJ's saturday night show, celebrating it's second anniversary this month. In the last couple of years the show has seen inumerous guests and contributions from new and established producers, DJ's, Labels, record shops and musicians, thru talks, live sessions and exclusive mixes as well as her choices of new released / unreleased material on a weekly basis, throughout the world of new electronic music and many of the mixes we got to know her for. 'As a DJ with over 10 years playing clubs and festivals around the world and having curated nights in London, Berlin and Lisbon, built a Sound System for Red Bull Music Academy and caught the ear of the likes of Gilles Peterson, FACT PT Mag and others, R.Maia says all artists featured in this compilation have inspired her whilst DJing all around or at her London based radio show, making this a very personal project. This global nature is reflected in the selection, featuring artists from Japan, Canada, Nigeria, France, Iran via Texas, Sri Lanka, Portugal and, of course, London, the epicentre to which all music featured is linked.